EEGLAB processes continuous and event-related EEG (electroencephalogram) data, allowing researchers to closely correlate specific brain activity with specific cognitive events. 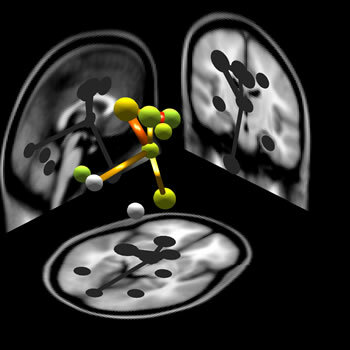 Thought processes occur in mere milliseconds; EEG scans average data over several seconds, blurring the results of individual thought processes. Independed Component Analysis (ICA) allows these details to be brought out, letting scientists to "read" thoughts and reactions to specific events. ICA is made possible by increases in cheap computer processing power; Makeig expects many clinical applications to come from this technique, particularly in the study of epilepsy and autism. The idea that thoughts could be read or scanned with a machine is often found in sf novels; see data-retrieval mode from John Brunner's classic 1975 novel Shockwave Rider. See the EEGLAB website and the press release New Technique Developed At UCSD For Deciphering Brain Recordings Can Capture Thinking As It Happens. Story from Eurekalert.